Image reconstruction is the formation of images based on CT projection data. This process has undergone tremendous improvements over the last years. The current chapter covers different types of image reconstructions. First, the steps before the actual reconstruction can take place will be explained, including calibration of the CT system, formation of raw data, z-interpolation for spiral acquisitions, and ECG editing. 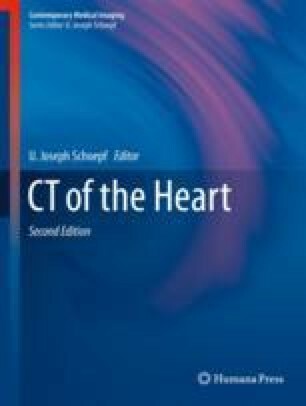 Subsequently, the most common reconstruction techniques filtered back projection (FBP) and iterative reconstruction and their applications in cardiac CT will be discussed.